Do you want a Christmas tree like the ones you see in department stores? 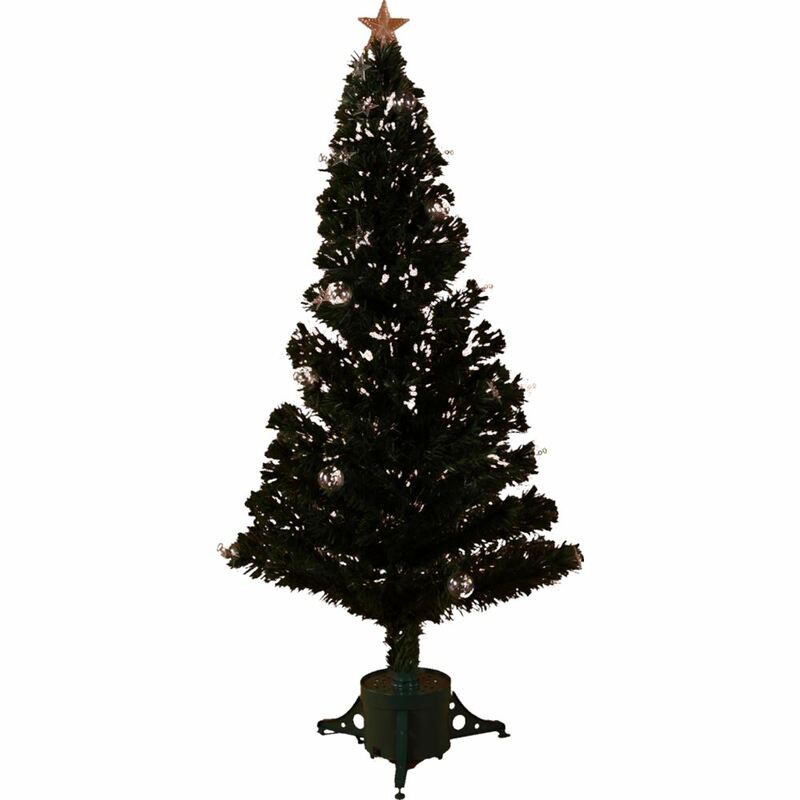 Our green Fibre Optic tree with a gold tree-top star, clear bauble and star decorations and a white effect has the look and feel of a professionally decorated tree. 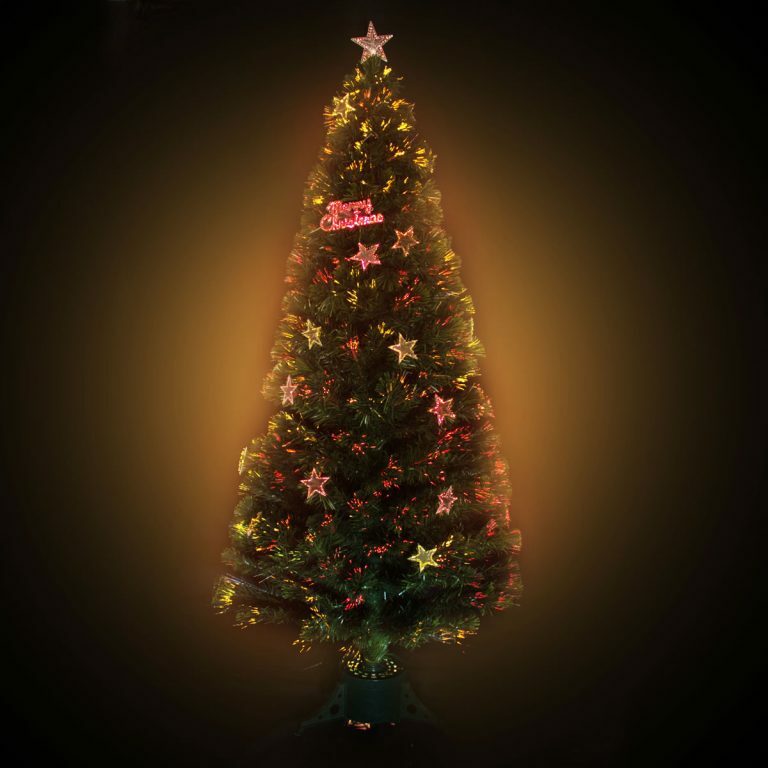 Our green Fibre Optic Tree proves you do not have to compromise because you lack space. 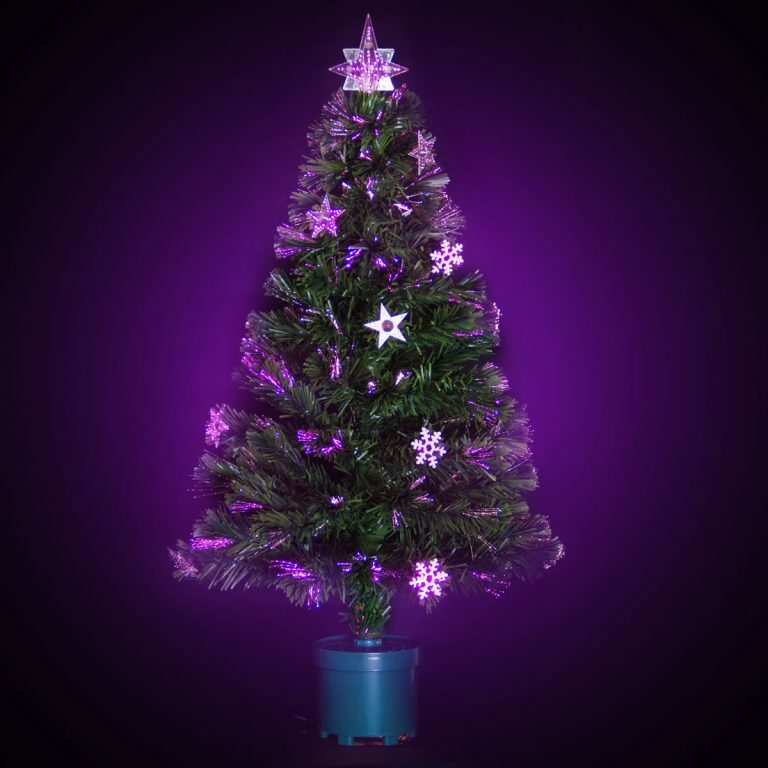 This tree will make a gorgeous addition to your existing Christmas decorations and will stay looking great for years to come. The neat pot base and compact 70x70x150cm make this green Fibre Optic the perfect choice for people who have limited space, but do not want to compromise on style.